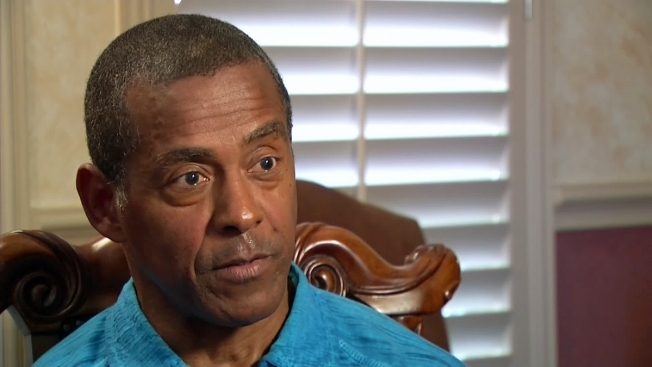 Hall of Fame Running Back Tony Dorsett: "I'm Not Suicidal"
Dorsett: "I'm OK. Pray for Me"
Hall of Fame careers are made of dazzling plays on the field, Tony Dorsett has had his share. Ask any linebacker of his era -- Dorsett could fake you out or run right past you in a blur, but his play on the field has given him an opponent in retirement that No. 33 can't dodge. "Yes, I do have CTE," he told NBC DFW. Chronic traumatic encephalopathy is a degenerative brain condition that some doctors believe is caused by excessive concussions -- the kind you get from contact sports such as football. Minutes after receiving his diagnosis, Dorsett sat for a nationally televised interview with ESPN. He talked in detail about CTE and its effect on his current health. Dorsett was asked if he ever had thoughts of suicide, and he answered honestly -- "Yes." "I tried to be honest and just keep it real, but it's not to the point that -- again, I'm not suicidal," he said. "I'm so far away from that. Like I said; scared -- I'm too scared to try and kill myself." The former Cowboy's initial answer made headlines worldwide, prompting calls of concern, curiosity and chaos. Dorsett also admitted in the ESPN interview that he has been diagnosed with depression and that sometimes his family fears him. He told NBC DFW that it's more accurate to say that they fear for him and his health. "People are thinking I'm suicidal, they're thinking my kids and family are running and hiding in closets, trying to stay away from me, and [that is] the furthest thing from the truth that there is," he said. Dorsett said his phone has not stopped ringing from family, friends and fans around the world worried about his emotional stability. He said prayers are welcome but no one needs to worry. His diagnosis has cleared up issues he was having with losses of memory and motivation, and he's working to improve his health daily. Dorsett said he never intended to set off alarm bells about his emotional health. His answer about whether he thought about suicide was not specific to his diagnosis of CTE, he said. His response related more to his life and the pressures of athletic stardom, something he's lived with since childhood, he said. "I've had tough times, even when I was playing ball," he said. "Sometimes you think about things -- 'Maybe the world would be better off without me' -- but it's not one of those serious thoughts that cross your mind." He said he is happy to lend his name to the CTE issue to garner more attention and research but won't be giving speeches about it. Dorsett, who is still part of a lawsuit against the NFL filed by former players, said he wants kids to take head injuries more seriously now that the science is there to suggest there are lasting effects. As for any regrets, Dorsett said he has none. "I liked being Tony Dorsett. I liked the fact that you know I was a high school All-American. I like the fact that I went to the University of Pittsburgh, became an All-American, won a national championship, won the Heisman Trophy," he said. "I like the fact [of] coming to the Dallas Cowboys, being rookie of the year, winning the Super Bowl. I liked all of that. I loved all of that, and if I had a chance to do it again, I would." But he had one caveat. "I would just be a little more careful about the injuries I was attaining and receiving," he said.